If you’re currently pregnant, then “Labor Day” took on a whole new meaning for you this year. Whether you’re at the end stages of your pregnancy and wished that the day had held magical labor-inducing properties, or if you have a few more months to go, no doubt you spent some time thinking about your pregnancy, your labor, and how to best care for your body and your growing baby. We’re guessing that your free time (rather, the free time that’s not spent peeing, sleeping, and eating) has been spent researching the best items to register for, narrowing down baby names, and working to create a beautiful nursery. All of this preparation, of course, is necessary and good. However, have you neglected a very important part of pregnancy? The part where you devote some energy into taking care of YOU? Aside from the fact that it’s just plain smart to get in some you-time while you can, taking steps to relax and nurture yourself is good for the health of you and your baby. When you experience chronic stress, your body can trigger an inflammatory response, which can lead to developmental problems with babies. Stress causes your body to be in the “fight or flight” mode, and causes the stress hormone cortisol to surge, which can cause a more significant stress reaction in the baby. A great way to keep your prenatal stress in check is through prenatal massage. More than just a superfluous luxury, prenatal massage can actually decrease depressive symptoms, improve sleep, and reduce anxiety. And, of course, prenatal massage can be an effective remedy for the annoyingly common pregnancy-related woes. Those who receive prenatal massage can affirm that much of their joint pain, muscle knots and cramps, constipation, body stiffness, headaches, and even acid reflux have been positively affected. 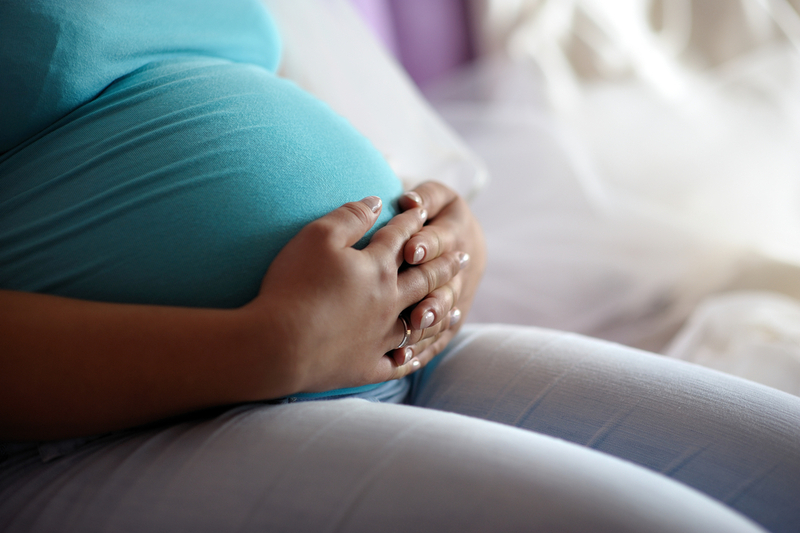 For an even stronger argument, receiving prenatal massage can favorably affect labor outcomes. This can happen because during massage the stress hormones cortisol and norepinephrine are reduced, and positive hormones serotonin and dopamine are increased. Not only does this hormone balance make the mom-to-be feel a whole lot better, but it also can lead to fewer birth complications such as low birth weight. As you prepare for your very own “labor day,” we encourage you to keep your own self-care and wellness at the forefront of your mind. Go ahead and treat yourself to a few sessions of prenatal massage. Because, really, won’t it feel SO good to have your feet, shoulders, arms, hips, and legs kneaded, loosened, and massaged? And doing so will allow you to take great steps toward a healthier and happier you, as well as a healthier and happier baby.